We are hiring an AmeriCorp Vista to fill our Volunteer Coordinator vacancy in North Charleston, SC. 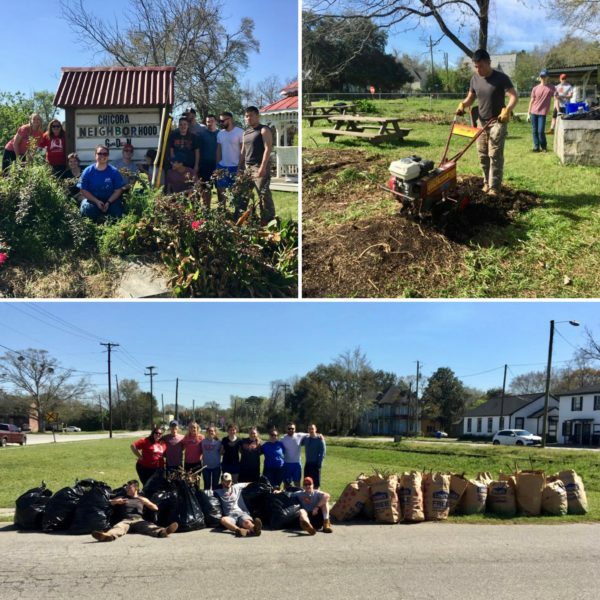 Day of Caring is an annual event where upwards of 90 volunteers participate in projects around our community from sprucing up landscaping to light construction projects in our housing and commercial properties. Here a team from local partner Ingevity Corporation paints the interior of our commercial space in the 2nd revitalized building on Reynolds Avenue. Our Volunteer Coordinator will receive a THOROUGH EDUCATION in asset-based community development, project management and volunteer coordination while serving our community-based development work. In addition, the Volunteer Coordinator will significantly advance soft skills in community engagement among our neighbors as well as across corporate, faith-based and community volunteers. Along with this unique experiential learning opportunity, the Vista program pays a modest living expense. 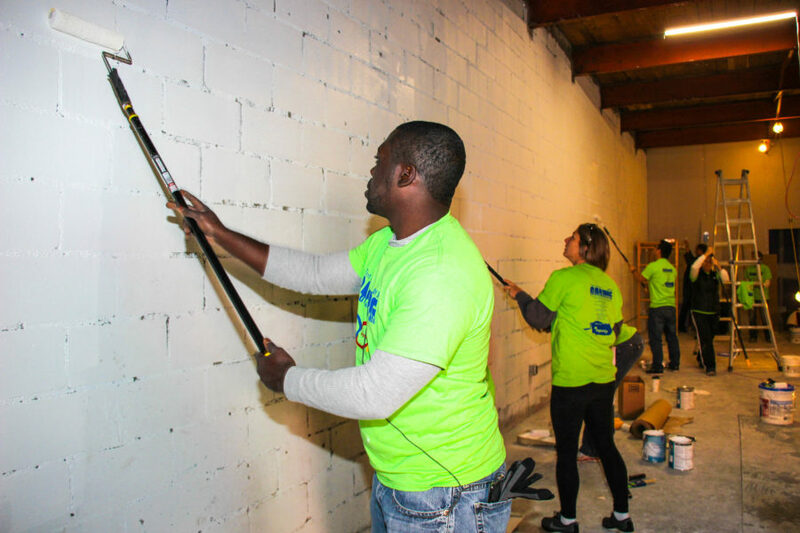 Most volunteer opportunities are centered around painting, light construction projects, landscaping/gardening, youth instruction and mentoring. During their Alternative Spring Break, these students from Rochester Institute of Technology put in a full day in our community garden. These students stayed for approximately one week at our Volunteer Center, an 18-bed, dorm-style facility located in the heart of our community. To learn more about the specific duties of the Volunteer Coordinator, please see the job description at this link. To learn more about the AmeriCorp Vista program and/or apply for this position, please visit this link. If you have questions, you may contact our Chief Operating Officer, Jamilla Harper, who started her career with Metanoia as an Ameri-Corp Vista!